Brian Williams has got himself in a spot. 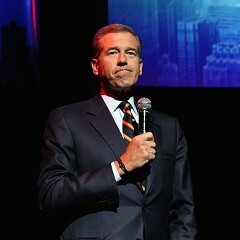 The NBC news anchor admitted that his brush with death covering the war in Iraq in 2003 didn't actually happen. The military helicopter hit by a rocket-propelled grenade? It wasn't the chopper Williams was riding in, despite the story he's told for years—it was a chopper ahead of his. "Why is Williams so desperate to be considered a hero?" wondered the Tribune's John Kass in his Friday column. Said Kass, "When he told it, the heroic Brian Williams in the company of other heroes, his voice sounded desperate to believe it. Whether this is madness or merely a childlike yearning to be big and tall and brave, it is not an acceptable character flaw in newspeople." No, it's not. However, I don't know that it's a flaw common to what Kass calls "the American elite"—who in his view have developed the "infuriating habit" of feeling compelled "to heap virtue on themselves and their peers whether deserved or not." This line of analysis allows Kass to bring Hillary Clinton, Bill Clinton, and Barack Obama into the scope of his scorn, but it doesn't exactly dig beneath the surface. In this case, the obvious point Kass misses is that Williams did go to Iraq and did go up in a combat helicopter in a war zone. That would be the extent of his bravery whether his helicopter was hit or not. Fate wrote the rest of the story. But that being true, why would Williams misrepresent his experience simply to make it more harrowing than it was? I think the reason has to do with our belief that character isn't forged at the blackboard. It's what we personally go through—not what we read about or hear about or even witness—that makes us substantial. And there is nothing we go through that can equal cheating death. Williams might have believed he was adequately defying death simply by going up in the chopper—but changed his mind when he heard about the crew that got shot down. Could have been me, Williams reflected in relief and exasperation, and before long it was. Nine years ago I wrote an essay about the manly need to claim valor in combat at the cost of making it up. It's pretty common. The historian Joseph Ellis made up a past that consisted of gallantry in Vietnam followed by leadership in the antiwar movement. Michael O'Brien, who'd been a circuit judge in Illinois, claimed two Medals of Honor. Wes Cooley, who'd been a Republican congressman from Oregon, said he'd fought with Special Forces in Korea. I wrote, "A good question for Ellis would have been whether he was trying to impress others or himself. For how much does being a so-called war hero in America really mean to anyone who isn't?" 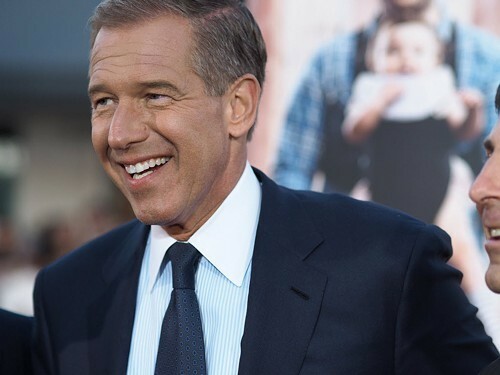 Did Brian Williams gain audience share from telling the tale of how his chopper went down? Did Americans flock to his war coverage because war had put him to the test? I doubt if careerism had anything to do with it. We know who we are, and sometimes extreme measures must be taken to guarantee the world knows too. "Perhaps," I said about the great embroiderers in my essay, "they want others to see them as they want to see themselves—as morally complex, subtle, up to life's hardest choices." Williams claimed nothing about himself that didn't fit the description that, I'm pretty sure, he believed he deserved regardless.